The first sonnets in Estonian language were published almost 650 years after this verse form was invented by Federico da Lentini in Sicily, in the late of 19th century. Sonnet form became instantly very popular in Estonia and has since remained the most important fixed form in Estonian poetry. Despite its widespread presence over time the last comprehensive research on Estonian sonnet was written in 1938. This article has a twofold aim. First, it will give an overview of the incidence of Estonian sonnets from its emergence in 1881 until 2015. 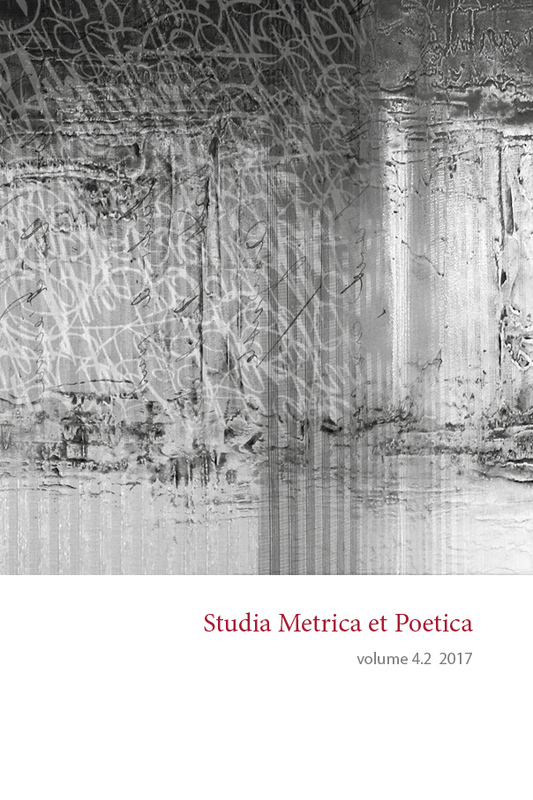 The data will be studied from the diachronic perspective; in calculating the popularity of the sonnet form in Estonian poetry through the years, the number of the sonnets published each year has been considered in relation to the amount of published poetry books. The second aim is to outline through the statistical analyses Estonian sonnets formal patterns: rhyme schemes and meter. The sonnet’s original meter, hendecasyllable, is tradionally translated into Estonian as iambic pentameter. However, over the time various meters from various verse systems (accentual, syllabic, syllabic-accentual, free verse) have been used. The data of various meters used in Estonian sonnets will also be examined on the diachronic axis. I have divided the history of Estonian sonnets into eight parts: the division is not based only on time, but also space: post Second World War Estonian sonnet (as the whole culture) was divided into two, Estonian sonnet abroad, i. e in the free world, and sonnet in Soviet Estonia. The material for this study includes all the published sonnets in Estonian language, i.e almost 4400 texts.